Recalled batteries can overheat and catch fire. HP is expanding the recall of several laptop models over concerns that the lithium-ion batteries used can overheat and catch fire. The recall covers an additional 101,000 laptops to the 41,000 units that were deemed potentially defective in June 2016, bringing the total number to 142,000 notebooks. The recall affects a wide range of laptops using lithium-ion batteries containing Panasonic cells, everything from gaming and professional notebooks on down to general purpose machines. Potentially defective models include HP, Compaq, HP ProBook, HP Envy, Compaq Presario, and HP Pavilion models. "HP has expanded the number of recalled batteries, which were shipped with notebook computers sold between March 2013 and October 2016. The black batteries measure about 8 to 10.5 inches long, 2 inches wide, and about 1 inch high," the United States Consumer Product Safety Commission (CPSC) states in its recall notice. Users can locate the battery code on the back of the battery. Those that are part of the expanded recall have bar codes starting with 6BZLU, 6CGFK, 6CGFQ, 6CZMB, 6DEMA, 6DEMH, 6DGAL and 6EBVA. These could have been pre-installed with the affected laptop models or sold separately. So far HP has received a single report of an additional battery overheating and causing around $1,000 in property damage due to charring. 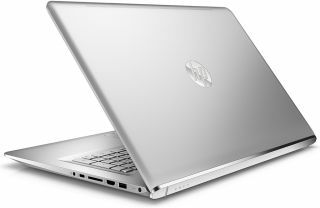 HP has set up a battery recall site where you can download a utility to determine if your notebook is affected, and request a free replacement.